I apologize for being a little tardy these last couple of weeks with my aviation weekly blog post but I figured with this last trip to DC why not make that the subject for this week. 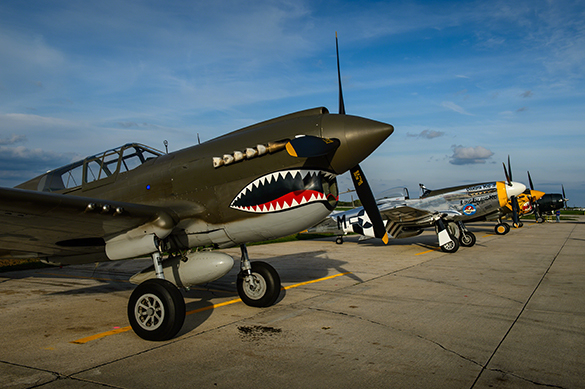 I had the great fortune to be working with the Texas Flying Legends Museum for the entire week documenting the event. It was an amazing experience that required all the knowledge that I had obtained from the previous years working in aviation to make happen what was asked of me. The end result was over 20,000 images and hours of video footage all from one week. But if there was one event that it was important to record all of that footage, it was this one. This trip literally started for me four days prior to having to show up for in Florida to meet the crew. It was a mad scramble getting everything ready before I had to ship out but once there in Florida with the pilots and the planes it was pure enjoyment mixed with a whole lot of work. One of the best example of this was the amount of air to air time I had with the other planes. We flew in a five ship to DC with the other fighters and C-53 coming on their own. The B-25 Betty’s Dream was the main photo platform but with all the time available and the need to include the B-25 in the shots in order to get a better overall story, I switched over to the TBM for a while to shoot. It’s amazing what a difference there is when flying across the country in these older planes is like compared to commercial. It’s hard to describe because it’s not like just a quick flight up and then back down. It really makes you feel like you’re flying back in time. Once we were at Culpeper, the fighter base where all the planes were kept except for the B-29, B-24 and B-17, it was a couple of days of practice flights combined with talking with the other pilots. It’s amazing the community that exists amongst this amazing group of people and the stories are just amazing. 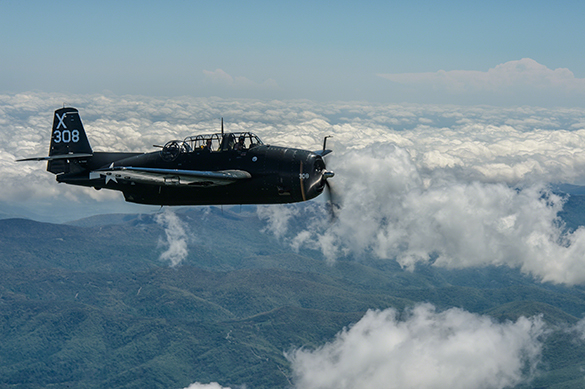 Culpeper is home to a healthy community of homebuilt aircraft one of which we had the fun of seeing is a WWI fighter being restored and the owner, Andy, fired up the engine for us. It was bloody loud but way cool! Along with some of the homebuilt crowd that were there witnessing what was going on were some veterans. Now at the memorial on that Friday there was said to be over 400 veterans. We had a far less amount at Culpeper but when you get the chance to just one of them, then thats all it takes. 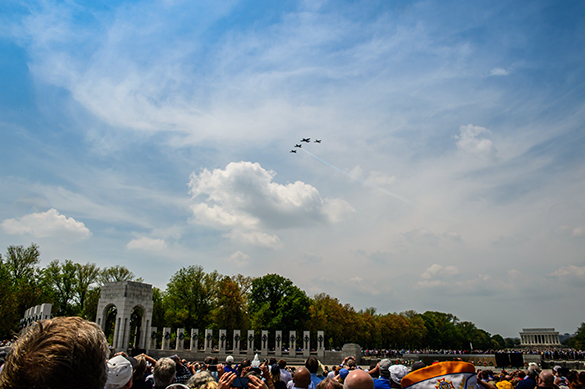 Friday was the big day and after much consideration with how the planes were flying, Dad and myself along with some friends all went down to the WWII memorial to watch the planes fly over the national mall. Since we had so little time with each formation it made more sense to be on the ground to photograph the one area that needed the most coverage, the people. They said that over 30,000 people attended that day and that’s pretty impressive considering it was a workday. I can honestly say from watching in my seat and from the conversations that were had, it was an amazing spectacle. The formal presentation was moving and the speakers they had during the presentation were great. For all the events and airshows I had been too this was by far the best. It’s hard to say that considering all that I have been too but it truly was a powerful event. Then, as soon as it had begun it was already time to head home. It’s hard to believe where that whole week had gone but Saturday was upon us and it was time to fly back to home base. Now the one element that was against us the whole trip was the weather. Oddly enough one of the very best days that we had was that Friday at the ceremony. Flying too DC there was rain and flying back there was rain and by the time we had gotten to Fargo there was even snow. It’s another one of those challenges when flying across the country that has to be dealt with but it comes with the territory in Spring time. The fleet ended up flying in multiple groups to best utilize speed and fuel consumption in working around the weather. 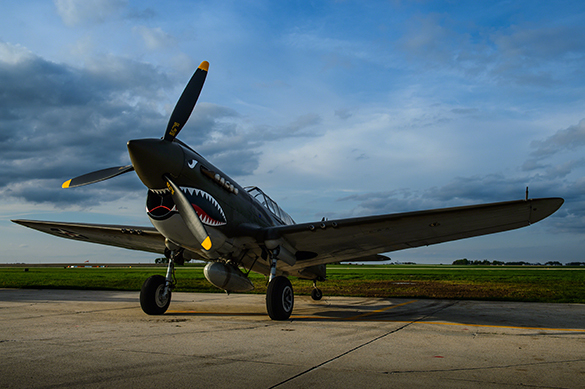 One of the main home bases for the Texas Flying Legends Museum is in Minot, ND and that’s where the planes were headed for maintenance after months of flying in airshows. TFLM was one of the major sponsors of the Arsenal of Democracy bringing in eight aircraft. They finished the formations on May 8th with the missing man solute in honor of those that did not make it back. 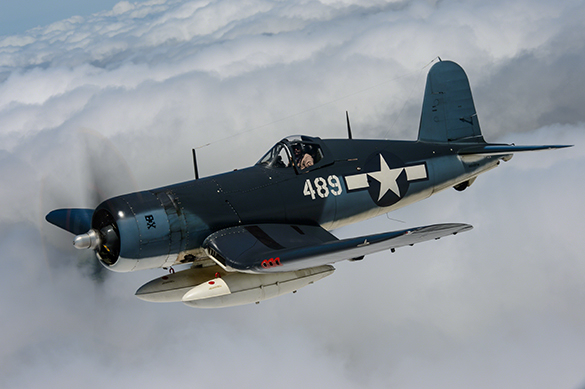 The Texas Flying Legends Museum have always believed in Sacrificing Above Self and they proved that with the back to back flying they have done this Spring in order to bring these great planes around the country for everyone to witness.